During the match, “The Nomad” Damon Divine destracted both Ryke & Watts allowing Ryke to get the win & Divine/Ryke brawled in the ring. “Pretty” Peter Avalon def “Hollywood’s Own” Joey Ryan to become the NEW IWL Anarchy Champion. Afterwards, Eric Watts came out to chokeslam Avalon and Justin Ryke came out to save him. The Young Bucks (Matt & Nick Jackson) def The Monster Mafia (Ethan Page & Josh Alexander) 2 falls to 1 fall escaping the cage on the final fall to become the NEW IWL Tag Team Champions for a 3rd time. Since I help IWL with some backstage work, I was unable to watch the entire event thus I will not be naming my Matches of the Night to be fair to all the matches. 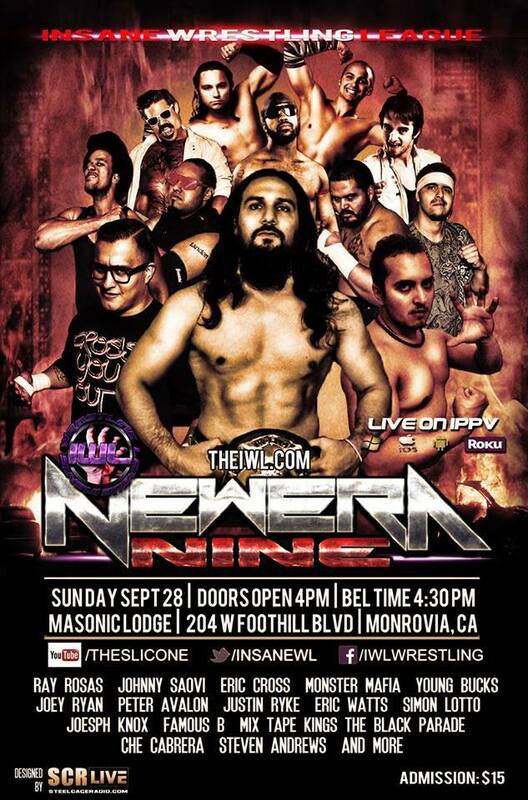 The Chaos Column will have a recap of the IWL event & I believe it will have his picks for Matches of the Night. Until Next time, this is Mike Draven & I’ll see you at Ringside!